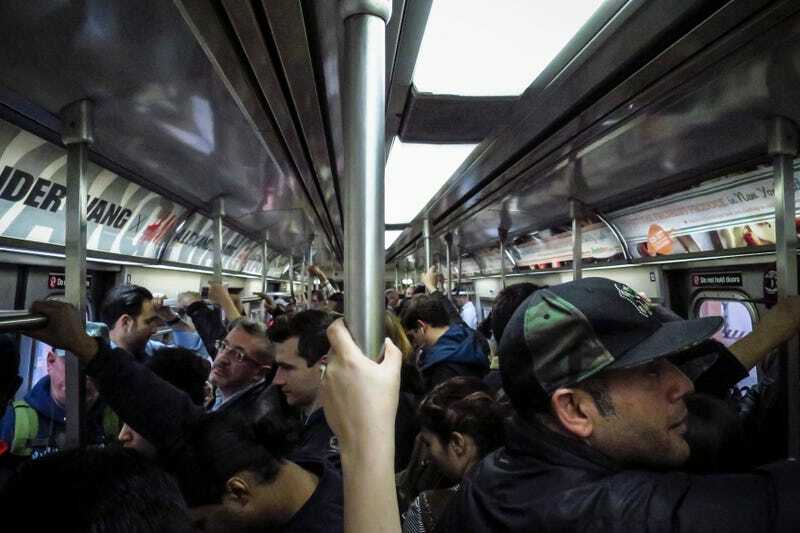 The situation only brightens when you learn that a train identified as one of the city’s most overpacked—the L, running across Manhattan and into north Brooklyn—will be shut down in one of two ways to repair damages from Hurricane Sandy in 2012. Around early 2019, the tunnel connecting Brooklyn and Manhattan will either be closed altogether (with possible buses and ferries to compensate), or partially shut down such that the train can accommodate just one-fifth of its current ridership. Rents along that L line have dipped slightly, perhaps as a result of this sunny news, but they remain stratospheric, as elsewhere in Brooklyn and in this city. Consult this smart, soul-sucking RentHop map to see median apartment price, by subway stop.